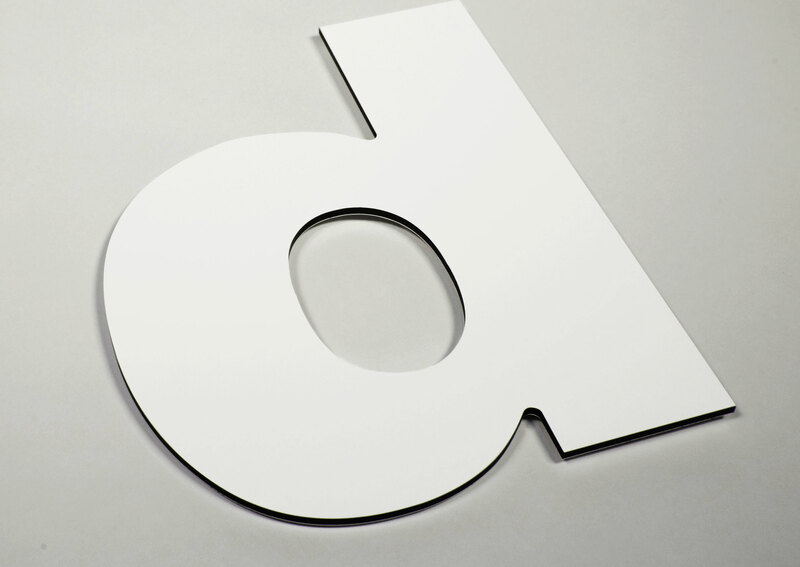 Dibond consists of two lightweight sheets of .012” aluminum with a thermoplastic core. The material is incredibly light, flat and strong. It is an excellent outdoor product that in many cases can be installed with a simple flush mount method. Available in 3 mm. And 4 mm. Thickness, 3 mm. Dibond comes in factory colors black, red, ultra marine blue, yellow, dark bronze and silver. Both 3 mm. And 4 mm. come in factory white or a painted finish. Because of dibonds strength and rigidity, sign panels require little or no sub-structure support. HowMac coats dibond with a very durable polyurethane paint finish. Dibond is incredibly light, flat and strong. Both 3 mm. and 4 mm. come in factory white or a painted finish.